The 10k potentiometer R1 attenuates the input. C1 and C2 help with noise. The 220µF cap removes any DC offset on the output. C4 is forms a "zobel network" of a 0.047µF cap and 10 ohm resistor, which should come straight from the output pin to ground. 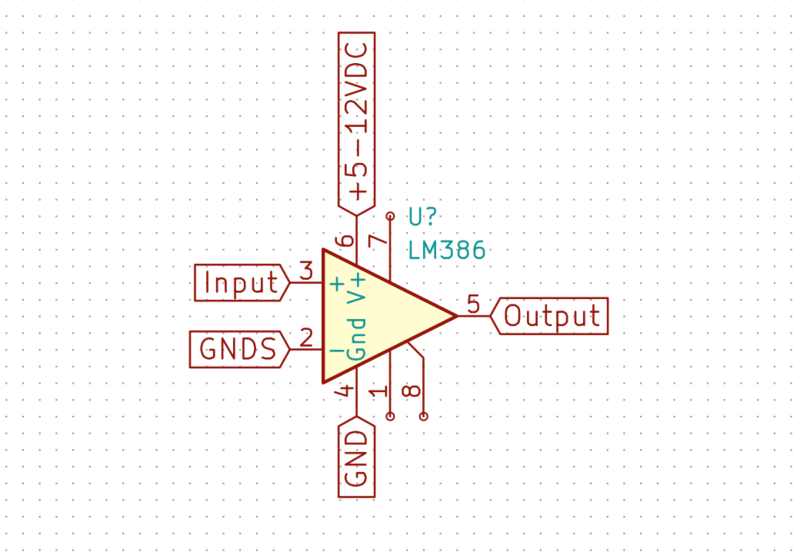 It's important to keep the GND and Signal GND (GNDS) separated close to the chip to avoid noise and distortion. A capacitor on the input line, serial with the input, will form a high-pass filter in combination with the input impedance of the amp circuit. 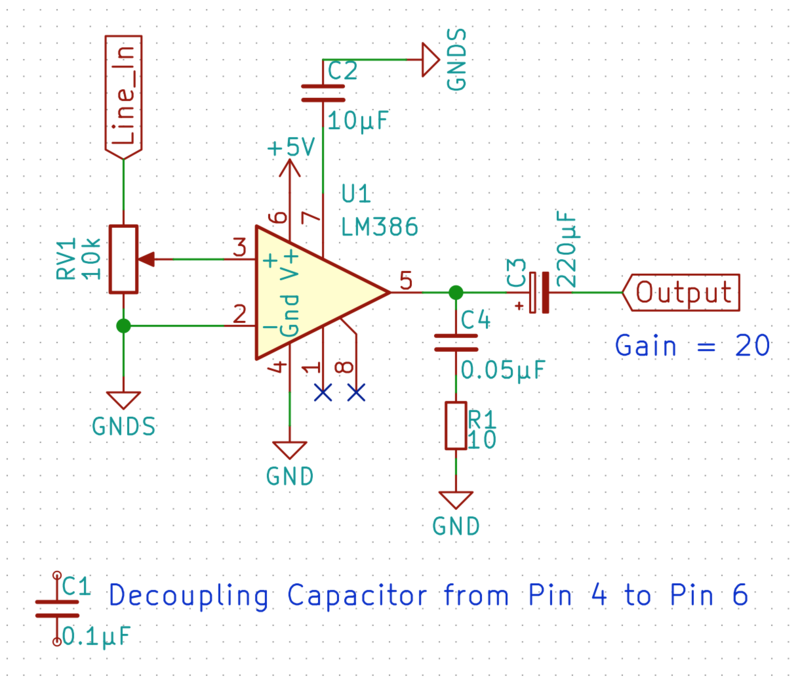 Input impedance for the LM386 is about 50k, so a 0.1µF cap will cut off below around 30Hz.